How do you determine what value is added to a particular property? Institutional grade investment real estate generally sells based upon a market driven required return on NOI (Net Investment Income: Revenue less Expenses). This market driven required return is often referred to as the Cap Rate or Capitalization Rate. If you think you know the Cap Rate the market desires, you can calculate its value by dividing NOI/Cap Rate = Value i.e. if NOI were $100,000 per year and the market cap rate for a given grade of property in the market where the property is located (major variables!) is 10%, then the property is worth $1M i.e. $100,000/10% = $1,000,000. Cap Rate is calculated independent of financing, it is the property that is being evaluated, not the financing and there is much variance in determining the amount of capital expenditures (setting aside/escrowing monies for new roofs, appliances, carpets etc.) that should be accounted in determining NOI. The grade of the property (A, B, C, D) and the market (primary, secondary, and tertiary) all impact cap rates. Cap rates are a point in time measure of return and can come in a variety of flavors: Trailing 12 (months), Forward 12 (projected), Go In (what you bought it at, implication is that good things will be done and it will improve). Higher the cap rate, the lower the valuation and vice versa of course. You like high caps when you buy, low when you sell. However, since real estate is capital-intensive business and most real estate carries debt, the real issue is what is the spread between your cost of capital (debt and equity) and the cap rate. If you can borrow fixed at 4.5% then a 5.5% cap rate might work, though when your loan starts to amortize, your mortgage constant (principal and interest payment divided by your debt amount) most likely will exceed your cap rate i.e. you will be mildly negatively leveraged cash flow wise on the debt portion of your capital stack unless you are able to improve your cap rate i.e. raise your NOI. Many borrowers attempt to get several years of i/o (interest only payments) on their loan in order to get some breathing room to improve NOI/cash flow before amortization kicks in. 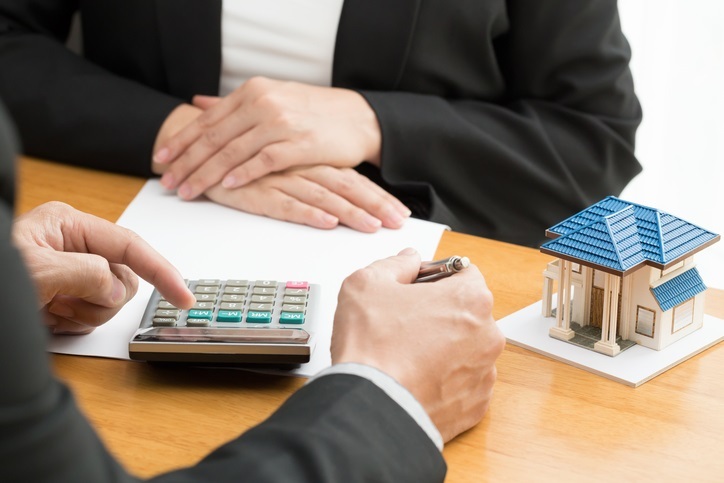 To determine what value can be added to a particular property, estimate how much revenue will be added by whatever improvement or action is contemplated, determine how much of it will fall to the bottom line, and then apply your cap rate to decide how much value is added. PS: Cash on Cash is another often used metric i.e. Cash Flow divided by Cash Invested; however this is as much a measure of the financing on the property (High Loan to Value or Low? Interest only or 30-year amortization or 25, 20 or 15 years?) as it is a measure of the performance of the property itself. Also, as time goes by Cash Invested becomes less relevant and the amount of cash available from sale post-taxes becomes more important. IRR (Internal Rate of Return) is another measure of return/value that I’ve discussed elsewhere.